Complete that look that you desire with our fantastic award winning French and shabby chic furniture, and brighten up your home with this stunning Antique French Dressing Table. 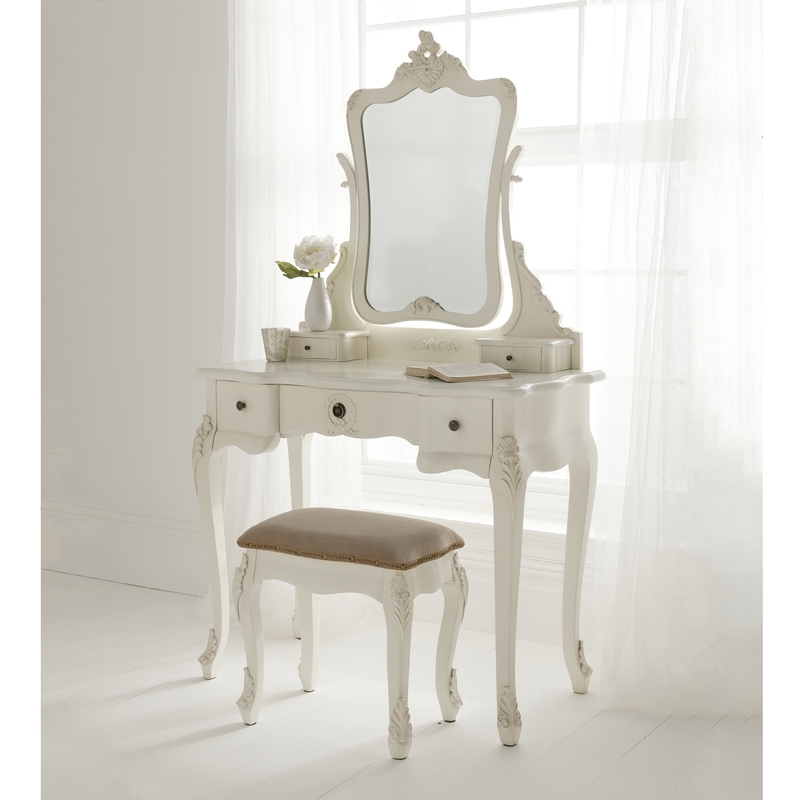 Hand crafted and carefully built to the highest quality, this wonderful dressing table will add style and elegance to your home, especially when complimented with our Shabby Chic bedroom furniture. Finished in a delightful antique white with 5 practical drawers and a delicately designed ornate mirror, this beautiful shabby chic furniture dressing table is sure to impress across generations.